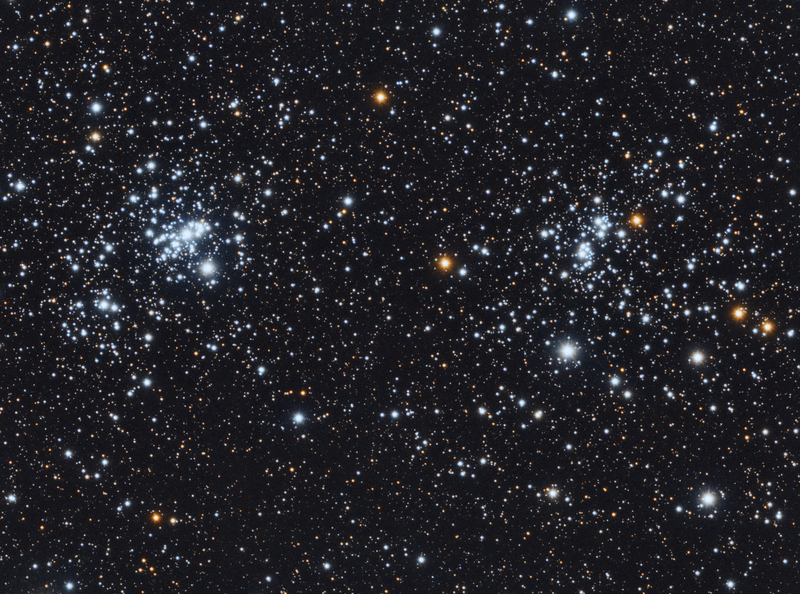 The Double Cluster is the common name for the naked-eye open clusters NGC 869 and NGC 884 which are close together in the constellation Perseus. NGC 869 and NGC 884 both lie at a distance of 7500 light years. NGC 869 has a mass of 3700 solar masses and NGC 884 weighs in at 2800 solar masses; however, later research has shown both clusters are surrounded with a very extensive halo of stars, with a total mass for the complex of at least 20,000 solar masses.